A hacker took the whole sole responsibility of hijacking over 50,000 printers worldwide to print a message to subscribe to PewDiePie's YouTube channel, which is the most -subscribed channel on YouTube. Youtuber Felix Kjellberg owns the top channel for years now, but his position has been threatened by a channel T-Series, which is owned by a music production company in India. The growth rate of a subscriber of the music channel has been explosive in 2018, it has over 72 million subscribers while PewDiePie has 150,000 fans. Many analytics think that T-Series’ subscriber would soon overthrow PewDiePie from its position, but Kjellberg's fans are putting up a fight. 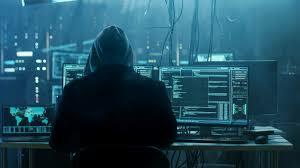 According to the Verge report, the attackers used Shodan, a database of devices connected with the internet where the hacker "found 80,000 connected printers and decided to attack 50,000 of them to raise awareness about printer security." Out of all the hacked printers, about 15000 printers were in India. “I didn’t think this would work when I did it,” TheHackerGiraffe said on Twitter.